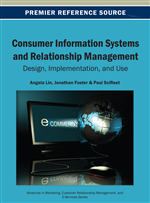 Consumer Information Systems (CIS) are a new type of Information System that provides services to consumers instead of addressing users in traditional organizational settings, such as Internet based television. Services typically involve a trade-off between achieving high service productivity and quality. The use of service mass customization to successfully address these issues of both productivity and quality in a service context is proposed. We suggest that the development of Consumer Information Systems as Services (CISaS) may achieve such service mass customization. This paper presents a conceptual framework and investigates how it applies to an emerging field of Internet Protocol Television (IPTV)/Internet TV systems. The era of Consumer Information Systems is upon us. Typically, information systems (IS) have been developed for organisations and their associated users. More recently, however, we observe that this traditional view is frequently challenged by the advent of systems that target a new kind of user. These users may not reside within organisational reach any longer. As such, they are accustomed to seek entertainment or even pleasure through different kinds of information technology enabled services such as television programming via broadcasting or cable networks. We therefore propose that users are consumers and behave as such. A person or thing that eats or uses something. A person who buys goods and services for personal use. A consumer can enjoy watching a TV program (consume it) without having to pay for it. In this case, the TV program may actually be “paid for” (indirectly) by advertising. An alternative is for consumers to purchase TV programs directly (e.g. via a subscription service or pay per view). Decades of research into consumer and behavioral psychology, and marketing indicate that consumption is motivated by the predicted utility of the good or service. Consumers use rational and emotional-based assessments of utility in their predictions (Baba & Fedorikhin, 1999). Thus, the object of consumption will have utilitarian and/or hedonic value from the consumer perspective. An information system, in turn, is often defined as the interplay of technology, software and people with the purpose of storing, distributing and communicating information. Traditional information systems research has assumed that users derive utilitarian value from the offering. Recently, some researchers have described an information system as a system of communication used by members of some human group or social actors (Beynon-Davies, 2002; Lamb & Kling, 2003). The social nature of modern information systems requires a refocus of thinking about the utility that users derive from the system. Systems that use information technology to enable consumers to access, process, and manipulate data over a publicly available network to facilitate service encounters of hedonic utility. This CIS definition covers both the service nature of CIS and the information technology basis for such services, which facilitates the provision of hedonic utility. This point highlights a divergence from the traditional view of systems development and opens interesting avenues for research on the service nature of CIS. This recognition of consumers as users is especially the case with the emergence of new internet-enabled multimedia services where consumers can become participants and co-creators of the television experience or “service encounter”. Another difference is that the concept of services (Grönroos, 2007a; Menor, Takikonda, & Sampson, 2002) takes centre stage (as opposed to the idea of creating a distinct IS software product). The focus therefore shifts to innovating, designing and developing Internet-enabled, or similar, services. To characterize CIS further, we need to define the term service in this context. We suggest that a service provides various kind(s) of value to its receiver and it is an intangible artefact. Current market changes in the mobile services field could be a good way to visualize this. Looking at Apple Inc, it has repeatedly developed ranges of consumer devices, associated software and Internet services to support their machines, the iPod and iTunes is a classic and highly successful example of this behaviour. Let’s consider how Apple Inc has changed the mobile phone market. This has not been the end-result of their innovative touch user interface. Moreover, the change in their business model has been deeper. Apple is actually trying to change the mobile phone to a service platform, which they can manage through their AppStore distribution service. In other words, Apple is providing a service offering (Grönroos, 2007b, p. 6) to consumers as well as technology.